How are you all doing? I’m sure like me, you too must be enjoying the beautiful autumn season🍂 and weather here up in North India has started getting pretty chilly! 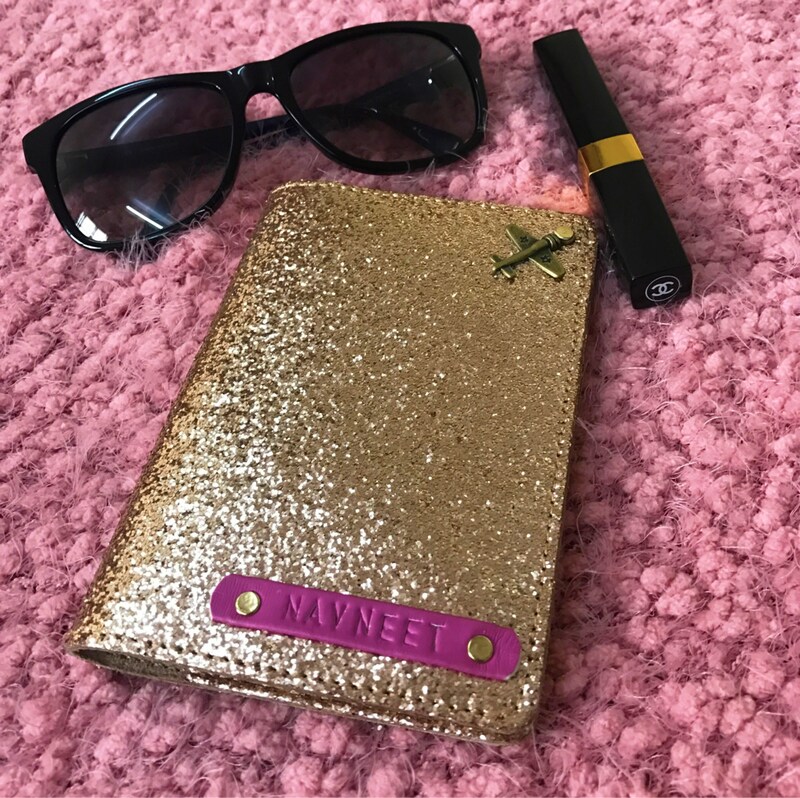 In fact the holiday season is just around the corner and I’ve something really awesome to show you guys to travel in style to your next vacation.It’s a chic personalised passport cover. So as you travel the globe, keep your most important travel documents safe and secure with passport holders. I recently bought and customised it with my name, charm and colour of my choice which will certainly add some well needed glamour to even delayed flights during trips! Whether it’s an adrenaline packed holiday or a quiet retreat, be sure to pack the right belongings to keep you inspired. As a travel and fashion blogger, I’m constantly trying to inspire my readers to travel in style and sophistication. Those who aren’t into fashion, I’m sure this blog post would still interest you. Trust me, owning a personalised passport cover won’t only give you an amazing feeling but also make a difference in your travel experience! 1. It keeps all your travel documents safe, organised and really easy to reach. 2. You don’t have to rummage through your bag for the documents and protects them from getting damaged (getting ripped, folded or spilled). 3. It can hold your passport, cards, travel documents and even few currency note. You’d be able to quickly access any travel document you require in hurry. 4. It can also be used for a regular wallet. 5. A great conversation starter and way to make some friends. As you can see these aren’t some flimsy covers that’ll get ruined and worn out just after a few trips, the leather used is of high quality. It’s just your palm size and could easily go into your pocket or bag without feeling you bulky. It has a total of five slots, one for the passport and he other four for cards, currency and travel documents. The other day I was surfing the net and came across this page which really interested me and upon scanning I found what I was looking for! A personalised passport cover by ILoveFashion. 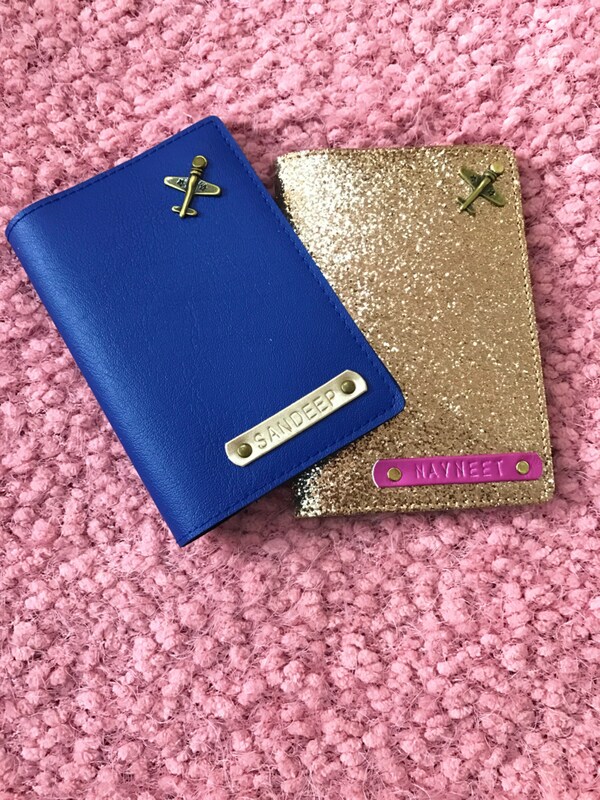 They have this pretty concept of personalising passport holders with charm and also the colour of the client’s choice. It’ll be a great addition to your travel accessories. Moreover the customer service is really great and they keep in touch till the product is delivered. You can order these beautifully crafted and aesthetically designed covers by visiting their Facebook page or on Amazon. Hey do you have a personalised passport cover? Do you like travel accessories? Do share in the comments below, I’d love to know! Happy travelling and Keep it stylish! The blue one is so stylish. I really want get a passport cover but can never decide. Hey go for it, I’m sure you’d absolutely love it! Gonna make of these handy for my next overseas travel. Thanks for the lovely idea!